Bún bò Huế is a hidden Vietnamese gem that has yet to “make it” in mainstream American cuisine. It’s a rich and spicy soup with deep layers of flavor. This Central Vietnamese soup is paired with tender slices of beef and pork, then topped with lots of fresh herbs. I consulted my favorite Vietnamese cook–Mom–on how to make bún bò Huế. And to find out subleties that make BBH authentic. I promise you’ll love this version! Phở has claimed some serious territory here and has grown popular quickly, so why isn’t its equally spicy and attractive cousin allowed to join the party? It has a lot of familiar and identifiable ingredients–a good step in getting people to eat something new. BBH has a few curveballs that could be holding it back from quicker adoption: shrimp paste and pork blood. I’m not sure America is ready for this as a mainstay yet, whereas pho’s concept is easily recognizable and pitched as beef or chicken noodle soup. The city of Huế was put on the map as Vietnam’s capital in 1802 when the Nguyen Dynasty seized control of the country and ruled from this central city. This city has a reputation for having spicy foods–not something as common with other Vietnamese cuisine.. My mom believes there’s no real reason for it other than trying to boost flavor when there weren’t other options. Sounds kinda like what you hot sauce fiends out there do yeah? Huế also just happens to be the origin of many of my favorite dishes. This city is responsible for bánh nậm, bánh bột lọc, cơm hến (omg), and of course bún bò Huế. Lez get cookin! An authentic component of BBH is cubes of congealed pork blood. You coagulate it by sitting fresh blood in a container, then boiling with salt to solidify it. It’s kinda dense, slightly chewy and holds its shape when bitten. 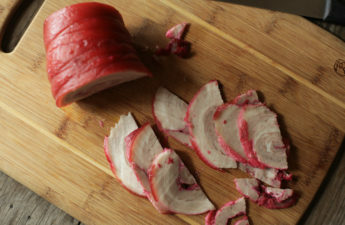 If making BBH just for myself, I’d forfeit my chances with Bourdain and skip the pork blood. Shh! Seriously… Gwen Stefani has ruined my life. I can’t say, think, or spell “bananas” without singing her wretched song. 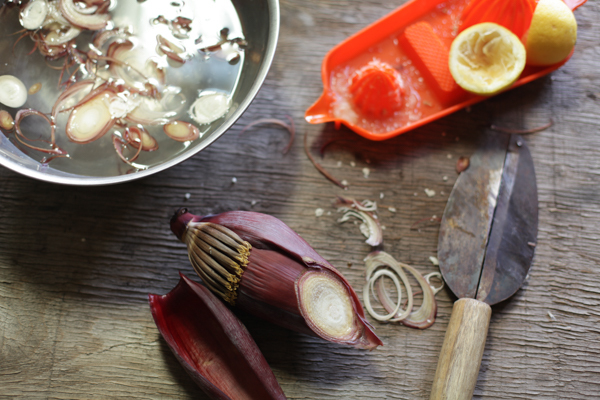 But anyways…another interesting & traditional ingredient here is sliced banana flower (or banana blossoms). You can find these in Vietnamese, Chinese, Thai and other Asian markets. I even found this at a local Persian market! This is a neat addition to this dish but is by no means required. If you can’t find banana flower, move on. You can still make some amazing BBH without it. Prepare your bowl of lemon water, then remove all the petals. Discard all the little fronds (the mini banana-like fellas). The lemon keeps the petals from browning and removes some of its bitter taste. Unless it’s a Huế-specific restaurant, shops don’t bother serving this because it’s pricey and troublesome to prepare. If you don’t have access to these blossoms, you can do as the restaurants do and use red cabbage as a stand-in. 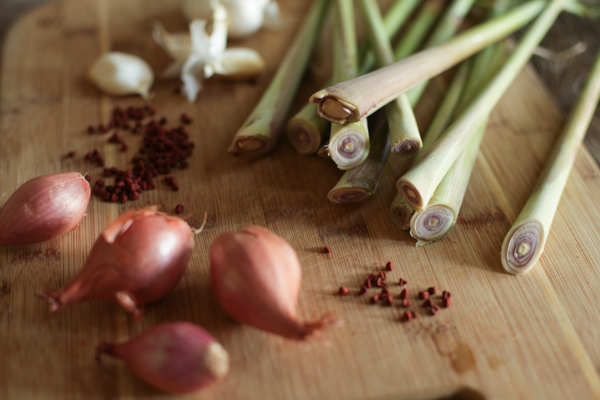 I have a recipe for the spicy chile paste that goes with BBH… I promise your sweat glands it’s coming soon! 2 large onions, halved. For sweetness, not eating--remove from the broth after it's fully cooked. Clean the meat: Add all meat to a stock pot and enough water to submerge it, bring to a boil. Drain and rinse thoroughly under running water. Add the meat, broth, lemongrass and onions to the pot and fill with water almost to the brim. Bring to a boil then drop the heat to medium-high to maintain a low boil. Add the seasoning. Let it simmer and periodically check the meats for doneness and remove them as they finish cooking. The pork should be done after about an hour, the beef can vary between 2-3 hours. After all the meat has removed, let it cool, then slice it. Adjust seasoning and add water to the broth pot if necessary. Make the aromatics & coloring then add it to the pot. Boil noodles according to package instructions. Assemble your bowl, and serve with herbs and veg on a side platter. 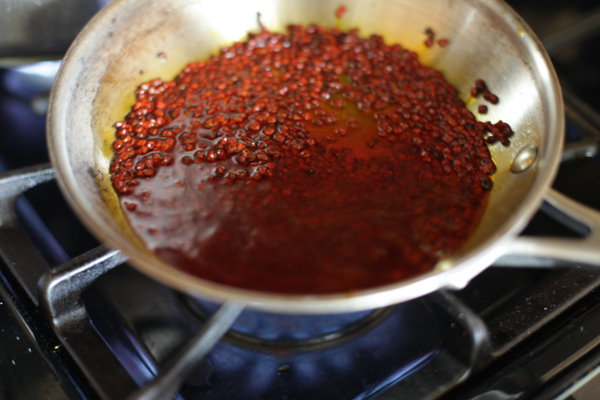 Sauté seeds in oil on medium heat until the seeds give up the bright red color, then remove the seeds. Add shallots and garlic, sauté until brown. Add all of this to the pot of broth for color. Prepare a bowl of about 2 cups of water, mixed with the juice of 1 lemon. Thinly slice the banana flower and add to the water mixture to sit for about 30 minutes. Avoid adding little fronds (that look like mini bananas), removing them as you encounter them. They taste bitter! I could use a bowl of this right now (minus the blood, of course)! LOL! Weirdly enough, I hated eating bun bo Hue when I was a kid. It wasn’t until I was into my 40s that I tried it again and love it. It could be because my mom didn’t make it right (bland) or my tastebuds weren’t quite developed back then. But I have friends who made this and I eventually waded my tastebuds back into testing this soup out again and now think it’s better than pho. 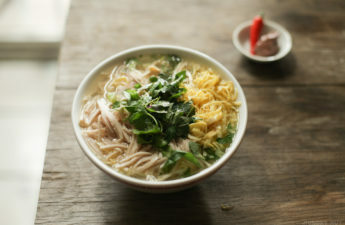 Not saying much as I never understood the passion over pho as it is not even the most delicious Vietnamese food or meal. 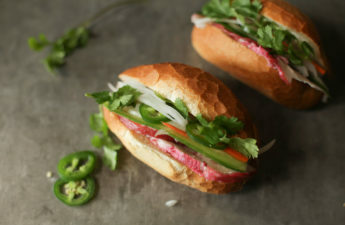 It’s good, but yeah, there are plenty of other Vietnamese food that is WAY better. I hope to see you make the blood sausage and put it in chao. I’m not a fan of blood in general, but love it in porridge (although most people I know only use blood chunks, I remember eating it with the broken up pieces of blood sausage…yummy with all the aromatics and herbs. Thanks for taking the time to show us this great recipe, Huy. Hang, good to hear from you! I don’t know about completely dismissing pho here, but BBH is great.This is something I’ve noticed about myself too–a change in taste preferences over time but ever so slowly. I’m glad your tastebuds waded back, or else you’d be missing out! BBH doesn’t get enough of a chance though since people just don’t know about it. I’m glad you’ll eat it now though! Thanks a lot Daisy–yep lots more recipes on the way! This recipe is so straight-forward and easy to follow. Thanks a bunch ! Just a bit on the side, but are you interested in becoming our recipe partner? I love BBH except for 2 things: the blood (!) and I have so much trouble picking up the noodles with those slick plastic chopsticks. Give me the cheap bamboo chopsticks every time! By the way, have you tried Menudo? It is kinda like BBH Mexican style, complete with stuff to add in, but lacking noodles, of course. Yeah those plastic chopsticks are quite slippery, and yeah the bamboo ones are are quite grippy. A nice pair of wood ones are good to keep around. I’ve always grown up nearby Vietnamese and Mexican neighborhoods but still have not given menudo a shot. To hear its like BBH is a good sign though, I’ll have to try it sometime. I can’t help but picture Ricky Martin though. Thank you for sharing Janet! 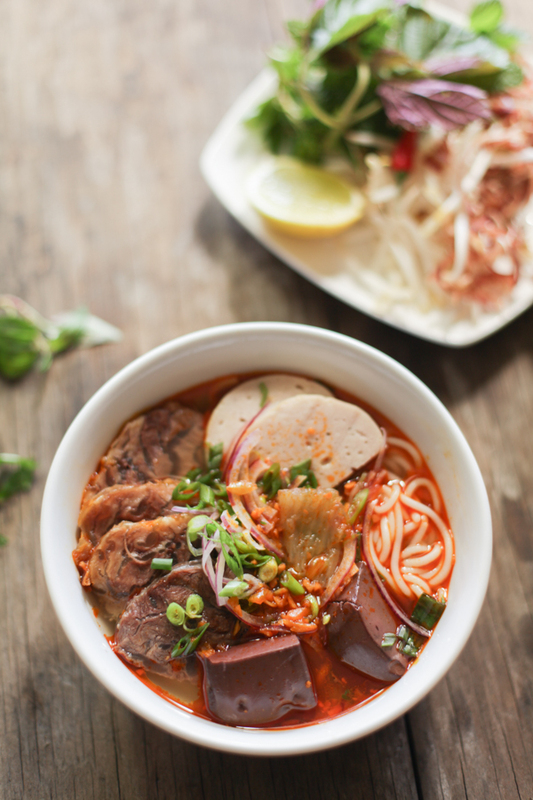 I’m making your Bun Bo Hue today! Tried your Pho recipe a few months ago for some of my Vietnamese friends. One comment was, “wow, just like Mom’s”!! So, I’m hoping for the same result. Love your recipes. Very easy to understand and the pictures are helpful! Thanks! 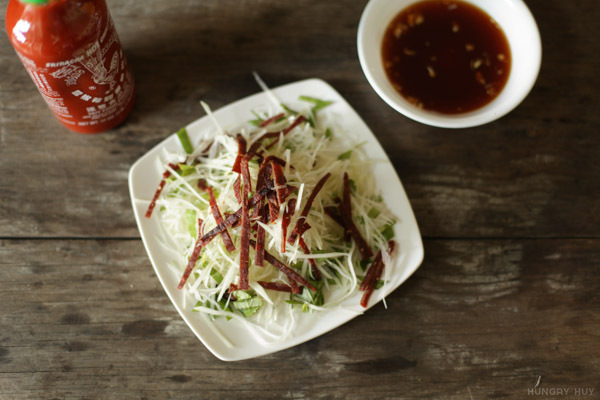 Oops, I meant your Bun Thit Nuong recipe…not Pho. Lol. Is there a substitution for MSG? My aunt cooks a lot of vegetarian food and uses mushroom powder instead of MSG. Seems like this is becoming more popular in Vietnamese markets in the last few years. Just came across your recipe and so glad I did. The instructions are not overly complicated for rookies like myself and it turned out great. 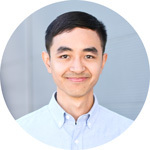 Thank you for sharing Huy and I will be sure to check out your other recipes! 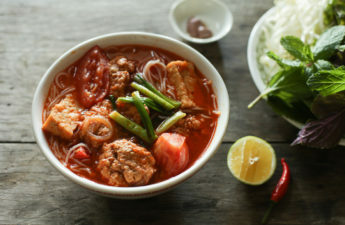 Thank you for sharing your recipe for Bun Bo Hue, are you able to show us how to prepare your noodles to be so soft, as I think the noodles is one of the most important aspect of the dish? Hey Hieu! The noodles should just be made according to the packaging. The longer you boil the softer it gets, and it will keep cooking a bit after you remove it from the water as long as its hot. 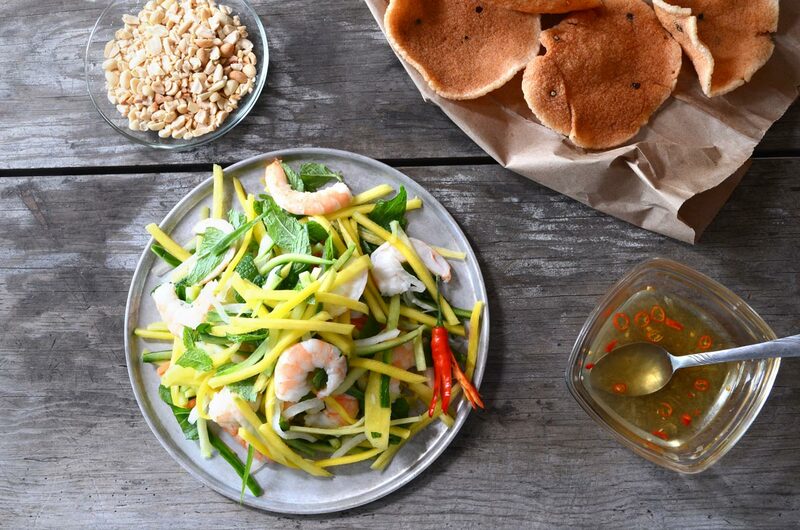 In Vietnam, we added some shrimp paste – mắm ruốc, to the broth. Some people like to add more in there bowl. ?. While writing this, my bbh pot is simmering. The aroma of beef and lemongrass is in the air ? Thanks for the tip Nha! This recipe looks great! How far in advanced can you make the broth? I’m planning on making this for a potluck and wanted to what’s ideal? 2 days?